The competition for universities to attract and lock in students is continuing to grow. With so many colleges offering similar programs, it is essential that you stand out and prove as soon as possible that you are the right choice for a potential candidate. But how do you do that? Every year at educations.com, we hold an annual mystery shopper exercise. In order to maintain the quality of our service to users, we send information requests to universities to gain insight into how fast users are being responded to and in what manner. In this article we will cover some best practices for improving student inquiry follow-ups based on surveys to some of our over 3 million annual visitors around their expectations of service. Learn how to improve your responses, increase replies and recruit more students! When future students are using educations.com to browse and search for schools to study abroad at, chances are they are considering multiple universities and are sending more than one information request to determine who the best fit would be. A great way to standout and set yourself apart from other universities is by replying immediately after receiving an inquiry. By being the first university to reply, you can begin your relationship by showing that you are reliable and there to help. In addition, this gives you the chance to start answering any follow-up questions that a potential student may have before they start hearing from other options. Learn what expectations students have when it comes to university response times and how fast universities are actually responding. 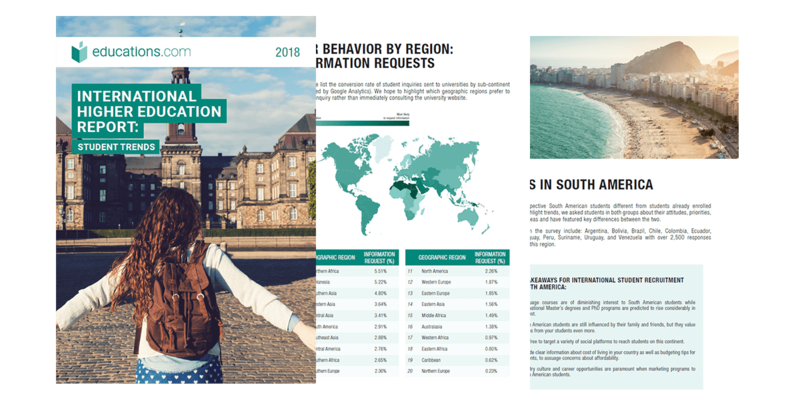 Our student survey revealed that 5% of students expect to be responded to in less than a day, 40% expect to be responded to in 1 - 3 days, 40% expect to be responded to in 1 week, and 15% expect to be responded to in over 2 weeks. Our Mystery Shopper Survey revealed that when receiving a course inquiry, 38% of universities responded within a day, 8% responded within 3 days, 10% responded within a week, 3% responded within 2 weeks or more, and 41% did not respond at all. If you want to increase replies and improve your student recruitment rate, then beat student expectations and make sure you stay on top of information requests and respond first. The second way to increase replies is to ensure that you personalize your responses. Studying abroad is a big commitment and students want to feel safe and confident with their choice. 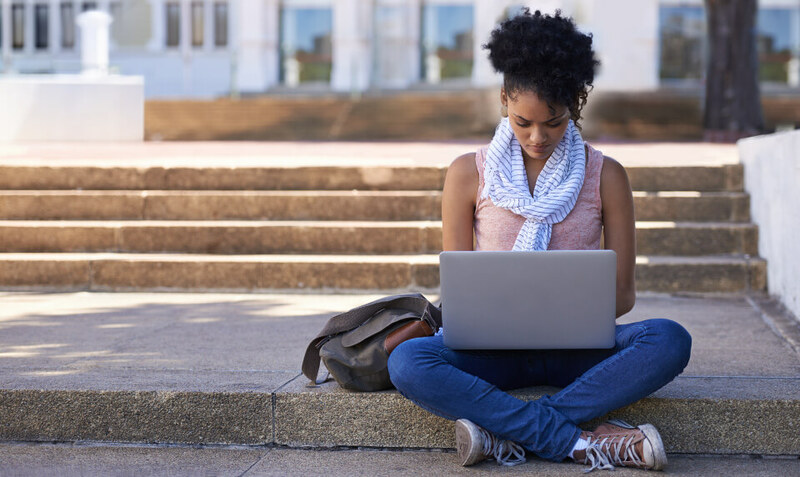 Automatic responses may be easy and a time-saver, but they lack the personal touch that interested students are looking for. In addition, most of the time when someone inquires about a program they are not ready to commit to it right away. They tend to have some questions that they want answered first to make sure it is a good fit. How much do students value personalized responses? Find out what our surveys revealed about how students expect their questions to answered and how universities are actually responding. According to our survey, 81% of students said they expect a personalized response with specific information answering their questions and 19% expected a generic response with links to relevant information on their website. Our Mystery Shopper Survey showed that 46% of universities responded with a generic response and 54% responded with a personalized response. Even if you have to wait a few days to reply to a student inquiry, it is worth it if it ensures you send a personalized response. If you send an automatic or generic response that doesn’t answer the user’s questions, you are going to lose their interest. Inquirers who get a personalized response from universities are more likely to trust them and as a result study with them. Students want to feel valued and would like to know that the university they are investing in is there to help. According to our exercise, one of the main problems that universities had with information requests is that after they replied to a lead, they would not get a response back. The best way to deal with this problem is to follow up again with either a phone call or email. Just like you, inquirers are busy. It is easy for emails to get missed, thrown away or placed in the spam folder by accident. By following up, not only can you make sure students receive your response, you can show potential students that you take their request and time seriously. Even if they don’t end up enrolling in your program, this can help set a foundation if they want to study abroad later in the future. Ensure that you are getting the best results from our platform by using these three simple tips. Show future students that you care and that their time is your priority by responding quickly, personalizing your messages and performing follow-ups and you will start to see results. Learn more about student expectations by downloading our full student trends report below!